Undefeated, record-breaking French Champion at two. Won the one-mile Lagardère in the fastest time ever. The best juvenile from the Monsun line and from an excellent female family. By MANDURO (2002) World Champion, European Champion Older Horse, Prix Jacques le Marois (G1), Prince of Wales’s S (G1), Prix d’Ispahan (G1), etc. 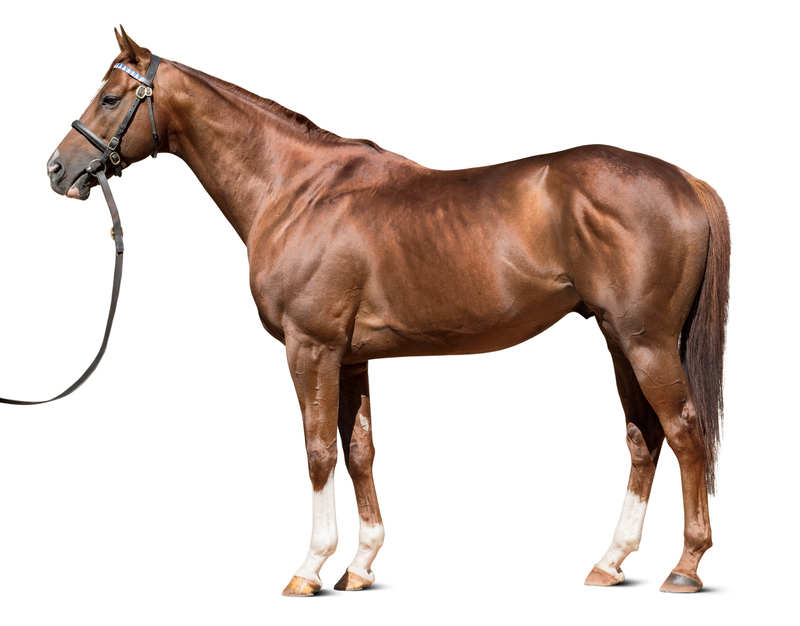 Sire of 677 foals aged three and up, including ULTRA, BRACO FORTE, CHARITY LINE, MANDAEAN, RIBBONS, VAZIRABAD, BONFIRE, FRACTIONAL, LEONIDAS DA SILVA, TIME TO CHOOSE, DURETTO, TROIS LUNES, KOLONEL, MEERJUNGFRAU, etc. ULTRA (c Manduro) Champion, see below. 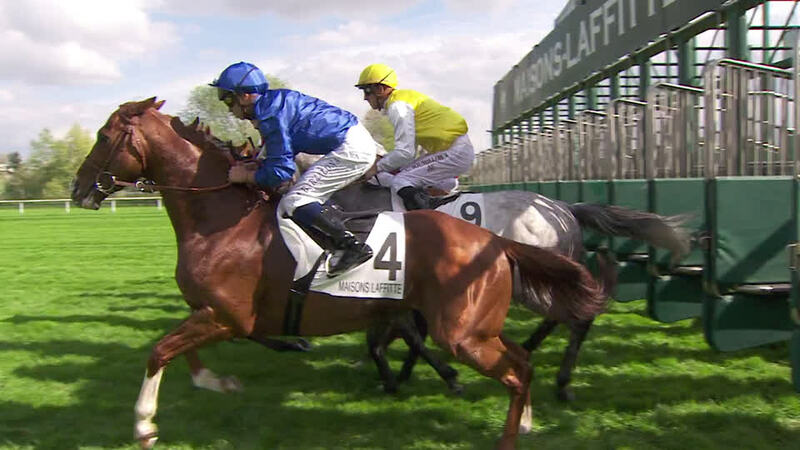 SYNOPSIS (f In The Wings) 2 wins (12f-12½f) at 3, Prix Minerve (G3). Figure of Speech (g Invincible Spirit) 2nd July S (G2), Sirenia S (G3). EXEMPLARY (g Sulamani) 6 wins (10¼f-16½f) at 2 to 5. SYMBOLIC STAR (g New Approach) 4 wins (7f-8f) at 3 to 5, 2017. CALISTA (f Caerleon) 6 wins, 2 to 4, Canadian H (G2), Prix d’Angerville, Prix de la Cochere, Spicy Living Sweepstakes H.
Earthrise (g Caerleon) 3 wins at 2 to 9, 3rd Ack Ack H.
IBUKI PERCEIVE (f Caerleon) Daily Hai Queen Cup, 2nd Oka Sho. Grandam of: CHIEF KITTEN (c Kitten’s Joy) Pulpit S.
Summer Sonnet (f Baillamont) 3rd La Coupe Piaget. Dam of: ACT ONE (c In The Wings) Prix Lupin (G1), 2nd Prix du Jockey Club (G1). Sire; SUMMER SYMPHONY (f Caerleon) British Columbia Oaks (G3), 2nd Fillies’ Mile S (G1); SUMMER SOLSTICE (f Caerleon) Prix de Thiberville. Grandam of: SUMMER BREEZING (c Langfuhr) Tiller S; ADIRONDACK SUMMER (c Thunder Gulch) Dania Beach S.
Space Time (f Bering) Placed at 2. Dam of: SPLASHDOWN (f Falbrav) Ballymacoll Stud S; COSMODROME (f Bahri) Height Of Fashion S. Grandam of: AKTABANTAY (c Oasis Dream) Solario S (G3). KENTUCKY ROSE (f Hernando) Prix Joubert, 2nd Prix de Flore (G3). Dam of: KEEGSQUAW (f Street Cry) Prix Dahlia. Grandam of: PITCH (g Manduro) La Coupe de Marseille; WEDGE TRUST (f Zamindar) Prix de Bonneval, 2nd Prix de Seine-et-Oise (G3). KEOS (c Riverman) Jacobs Goldene Peitsche (G2), 2nd Prix de la Foret (G1), 3rd Prix de la Foret (G1), Prix de l’Abbaye (G1). Sire. HECTOR PROTECTOR (c Woodman) Champion two-year-old in Europe, Prix Jacques le Marois (G1), Poule d’Essai des Poulains (G1). Sire. BOSRA SHAM (f Woodman) Champion three-year-old in Europe, 1,000 Guineas (G1), Champion S (G1). SHANGHAI (c Procida) Poule d'Essai des Poulains (G1). Sire. Ultra's first crop are foals of 2019. 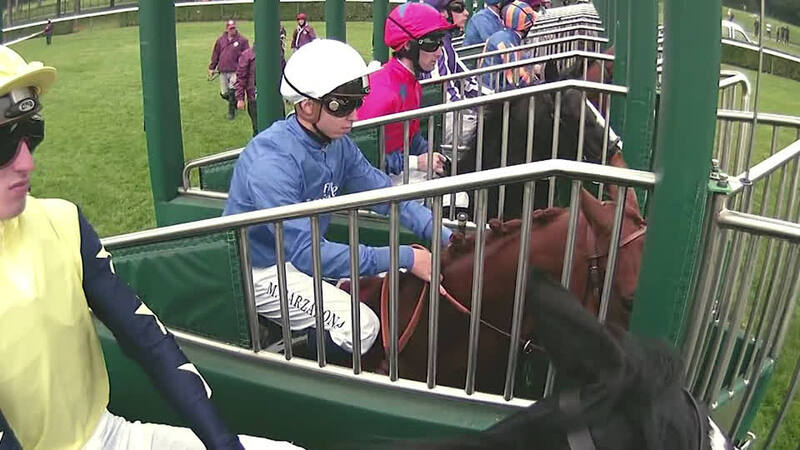 Prix Jean-Luc Lagardere Grand Criterium (G1), 8f, Longchamp, beating Cymric, Galileo Gold, Johannes Vermeer, First Selection, Shogun, Herald The Dawn, Attendu, No Education, Ventura Storm, Rougeoyant. Prix de Blaison, 8f, Longchamp, beating Royal Julius. Prix Matahawk, 7f, Clairefontaine, beating Moon Trouble, Mont Ormel, Maximum Aurelius, Thewayyouwish, Ghaaly. Prix Eugene Adam Grand Prix de Maisons-Laffitte (G2), 10f, Maisons-Laffitte, to Heshem, beating Spectroscope, Raseed, Kidmenever, Golden Bridge, Viserano. Race Prix Jacques Laffitte, 9f, Maisons-Laffitte, beating Wireless, Le Juge, Bravo Zolo, Saunter, Landym, Line Drummer, Prestige Vendome, Bonusdargent.